Welcome to the Ambassador In Chains section of our website. 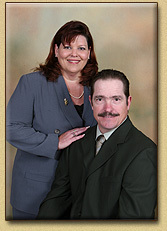 This ministry is directed by Randy and Liz Schmidt. There will be more info coming soon on this section.